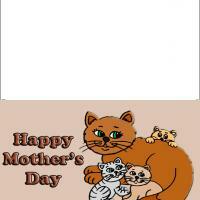 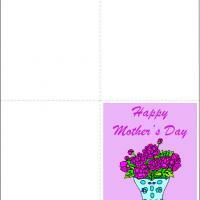 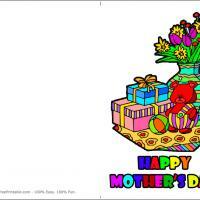 Thank your mom for all the joy she brought to your life in this quarter fold card. 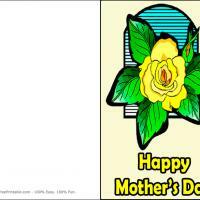 These printable Mothers Day cards feature a blue vase of purple flowers against a lilac background with a happy Mother's Day message written in purple. 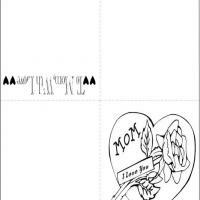 This card may look a bit plain at a glance, but if you would take time to add some more designs and flower drawings and a sweet personal message then your mom will surely cherish this card from you.